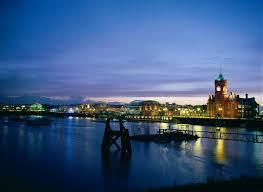 Cardiff is a lively and modern capital city which has gained popularity among tourists. The best time to visit the city is in the summer. Cardiff is a mostly green city and has lots of green spaces to spread out in. There many interesting things to see in the city. One of the loveliest parks in Cardiff is Bute Park stretching along the eastern bank of the Taff River. The park has more than 2,500 trees and there is semi-natural woodland. The woodland is home to lots of different kinds of birds and mammals among them several species of bats. You’ll also be able to delight in the arboretum collection which includes carved tree sculptures, a 13th century Blackfriars friary, the dock feeder canal and a lovely landscape. Within the park you can find Bute Park Education Center which is located behind a garden wall sort of like a “secret garden” which you enter through a large, ornately carved oak door. This is a venue for exhibitions, training and educational events and opens its doors for school visits. There are kiosks in the park providing different homemade light meals and snacks. Cardiff Castle is a large castle that has foundations based on a Roman fort. Tourists can see the Norman fort in the centre, the Welsh regimental museum and excavated Roman ruins. Llandaff Cathedral is located in the ancient “city of Llandaff” and is located in the north west of the city. It is one of the oldest religious sites in Europe. This cathedral has some of the most amazing architecture. The large statue of Christ in Majesty is well worth taking a look at. The surrounding village is also lovely. The Wales Millennium Centre is an amazing building of modern architecture. It is the place which hosts opera, dance and West End musicals all year long. National Museum Cardiff has an amazing collection of paintings, architectural finds and geological exhibits which chart the history of Wales. There are lots of 19th century French works. There are also art works by Rodin, Monet, Renoir and Van Gogh. Children just enjoy the dinosaurs and mammoths in the Evolution of Wales section. Techniquest has over 160 science and technology exhibits. It also includes the Science Theatre and offers tours of the Universe in the Planetarium. 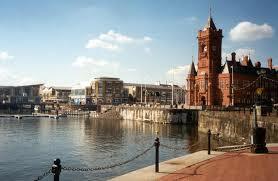 When in Cardiff take a visit to Cardiff Bay where there are lots of restaurants, bars and cafes. You can enjoy boat rides in the bay. For chills and thrills you can take a speed boat ride across the water at 70mph. Go for an interesting walk along the bay from Mermaid Quay to the barrage. The walk is 2km long and you’ll have the harbor on one side of the path and the sea on the other. There are lots of amazing views not to be missed. If you want you can rent a bike.